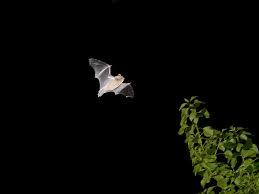 Until recently the soprano and common pipistrelles were thought to be the same species of bat, however it has been learned that the soprano pipistrelle emits an echolocation call which is 10 kHz higher at a range of 55 kHz. Physically it is almost impossible to distinguish the soprano from the common pipistrelle, both are small for European bats measuring under 5cm when fully grown, with the soprano pipistrelle being slightly smaller and is perhaps Europe’s smallest bat species. Their wingspans are rarely longer than 25cm and are of a narrow pointed design which reflects their fast agile flight style. Female soprano pipistrelles are slightly larger than the males with mature adults weighing in the region of 8 grams at their heaviest during the autumn before they enter their hibernation period. They have dark red to brown fur on their backs with yellow to brown undersides. The faces of soprano pipistrelles are darker than common pipistrelles. Ears, nose and wing membranes are a black to brown colouration. The soprano pipistrelle is very similar to the common pipistrelle in its choice of habitat and roost requirements. Both species are highly adaptive to changing landscape conditions and can occupy a range of different habitat types from urban areas to woodlands. Like the common pipistrelle they can easily live in buildings and attics and hunt in parks and near to city boundaries at night. The soprano pipistrelle requires access to habitats which contain freshwater bodies as it hunts in these areas for small aquatic insects. Summer roosts are generally composed of mature breeding females, their off spring and young non breeding females and can contain up to several hundred individuals. Winter roosts will contain a mix of both sexes which are established inside small cracks and crevices within cavity walls or tree hollows where small groups will form clusters. Soprano pipistrelles will not share their roost with other bat species. Soprano pipistrelles do not enter a deep hibernation like other bats in Ireland and may be active throughout the winter period if weather conditions are suitable. Soprano pipistrelle’s favored insects are at their most plentiful just before dusk each evening. They emerge from their roosts just after dusk and feed for up to four hours each night depending on the weather, hunting parties containing many pipistrelles have been recorded, perhaps as a defense against birds of prey which hunt bats by sight. Soprano pipistrelles feed in habitats associated with water, either over open water or along the edges of lakes and rivers. They are a relatively sedentary bat species and will not travel more than 2 km to hunt if the roost is located in a good quality habitat. Their food of choice consists of insects which have softer bodies than the prey of the common pipistrelle and includes moths, gnats and aquatic flying insects. Soprano pipistrelles are skilled hunters catching up to 3,500 small insects in one night while using regular hunting paths at between five and ten meters above ground level. Insect prey is caught on the wing directly by the mouth or can be trapped in the wings or with the tail before being transferred to the mouth. The mating season for soprano pipistrelles starts in September and runs to November although mating can occur in any season. During the breeding season males become more aggressive and territorial and will establish mating sites within the roost which females will visit. Flight displays and calls by the male will attract a harem of up to ten females with which he will mate. Female pipistrelles of this species will not respond to the mating calls of any other bat species. Once pregnant the gestation period depends on the weather with warm summers allowing a faster pregnancy of around 44 days, in colder periods a pregnancy can last for 80 days as the female must use energy to increase her body temperature to stay warm. A single offspring but in some cases twins are born in June and July and will weigh between 1 and 1.5 grams at birth. The young bats will first open their eyes after three days and are fed solely on their mother’s milk for the first six weeks of life. They grow rapidly and are capable of solo flight after three weeks. Mothers can identify their offspring by their sent and the sound of their vocalizations. Like all other Irish bat species parental care is given to the young by the female only. The average lifespan of a soprano pipistrelle in Ireland is 7 years but some individuals have been recorded as having reached a 15-year lifespan. The present day bat family tree now contains 950 different species divided into 17 families. All Irish bat and pipistrelle species belong to the vespertilionidae and rhinolophidae families in the Chiroptera order. Bats and pipistrelles are believed to have evolved from small insect hunting mammals that occupied the tree canopy of forested areas of the Eurasian continent. The oldest fossils which gave rise to modern bats date from 50 million years ago. Past climatic changes such as the last Ice Age seriously affected the number and range of bats but they can now be found in most habitats throughout the world except for land areas near the poles. Soprano pipistrelles are one of the most abundant species of bat in Europe and are now widespread from Scandinavia to the Mediterranean coast. They are also found in some areas of North Africa and the Middle East. The species is found in colder regions of Europe than the closely related common pipistrelle species such as in northern Scandinavia. They are absent from most Mediterranean islands. 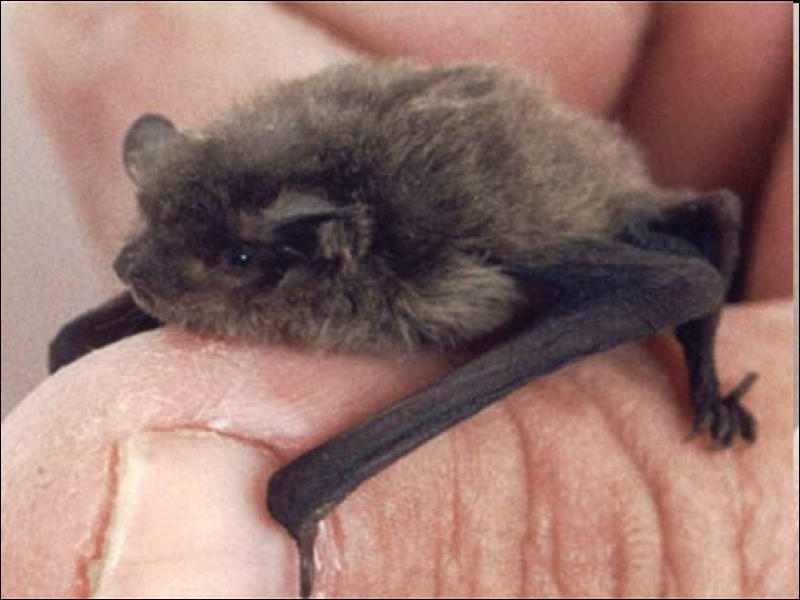 Soprano pipistrelles are one of Ireland’s most widespread and abundant bat species and can be found in all countries except for on offshore islands. The main threats to the species comes from the practice of chemical treatment of timber frames in attics which can poison an entire colony and make the area unsuitable for bats for up to twenty years. As summer roosts are established in mature tree trunks their destruction can occur with the removal of old or dangerous trees. 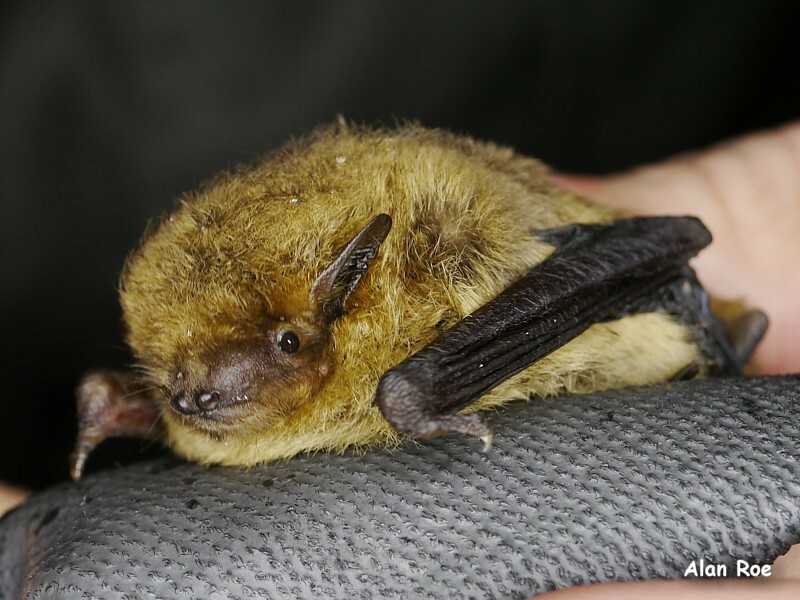 Recent re-forestation programs and the increase in the number of artificial water bodies will in the future help maintain the number of suitable habitats of the soprano pipistrelle in Ireland although poor water quality can effect the availability of the bat’s aquatic insect prey. The increased use of pesticides in agriculture in recent decades has also had a negative effect on the number of available insect prey on which the species is totally reliant, toxic accumulation of chemicals within the environment can also poison bats over time. Soprano pipistrelles are insectivorous mammals and are capable of consuming a large number of small winged insects on nightly hunting trips so they are a good form of natural pest control. 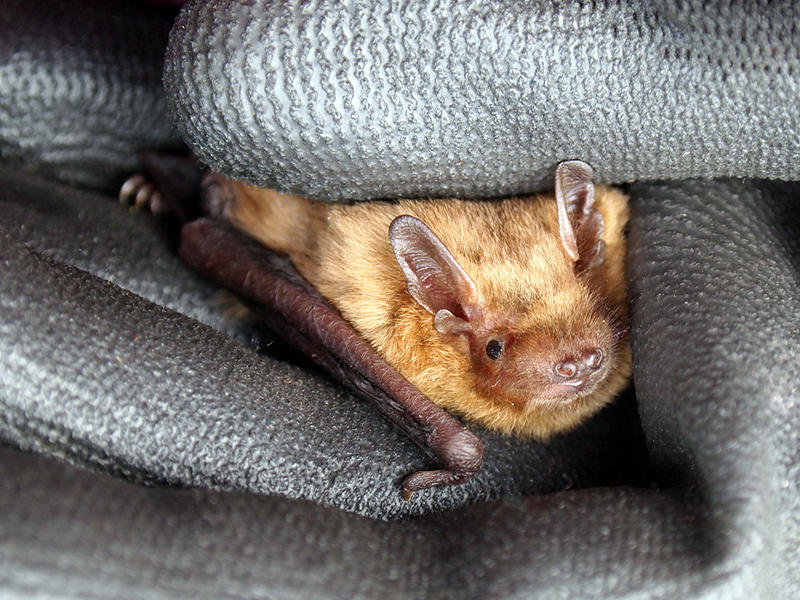 The soprano pipistrelle bat species is protected under Irish and European law and international conventions.